St. Thomas, U.S. Virgin Islands. 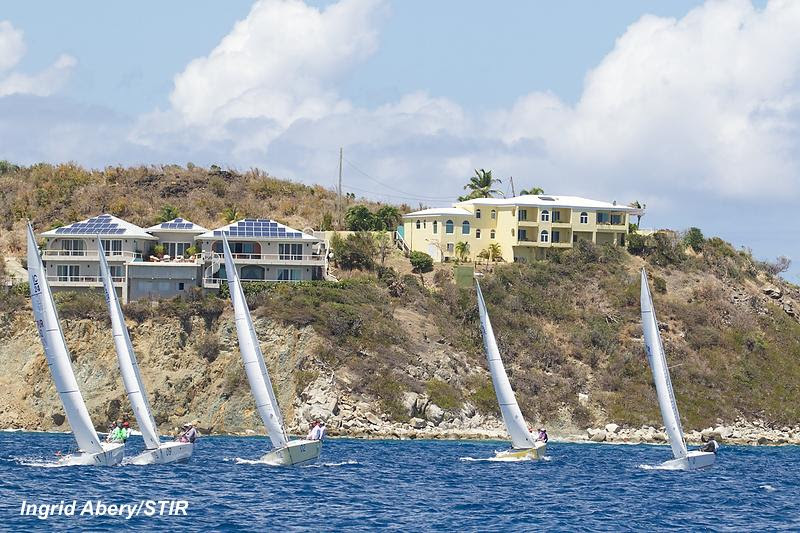 Caribbean perfect sailing conditions spelled a great day of racing for the 50-plus boats competing in the first day of the 46th St. Thomas International Regatta (STIR), which takes place through Sunday. Warm trade winds blew an average of 12 to 15 knots with occasional gusts to 20 knots, seas were relatively calm at 2 to 4 feet, and the bright sun made for a balmy 80’s Fahrenheit. What really stood out as a signature feature of STIR was the race committees carefully planned round-the-island-, rocks- and cays-style courses that offered highly competitive racing in an extraordinarily scenic setting. Definitely the best of both worlds. The four-boat CSA Spinnaker 2’s races were each nearly 10-nautical miles and wove around Dog Rock, Little St. James and Packet Rock off St. Thomas’ east end. Meanwhile, the eight boats in CSA Spinnaker 1 raced in the same vicinity, but these larger vessels were able to stretch their legs to a greater extent on a duo of longer courses that extended to Buck and Capella island’s off St. Thomas southern Caribbean Sea shore. “Flying Jenny, the USA’s Sandra Askew’s C&C 30, also had a productive day, finishing third in the CSA Spinnaker 1 class. Meanwhile, Puerto Rico’s Jonathan Lipuscek’s Dark Star was fourth. Rob Butler’s Canadian-based Reflex 38, Touch2Play Racing, finished the day first in the CSA Non-Spinnaker class. This class sailed the same courses as the CSA Spinnaker 2 class. 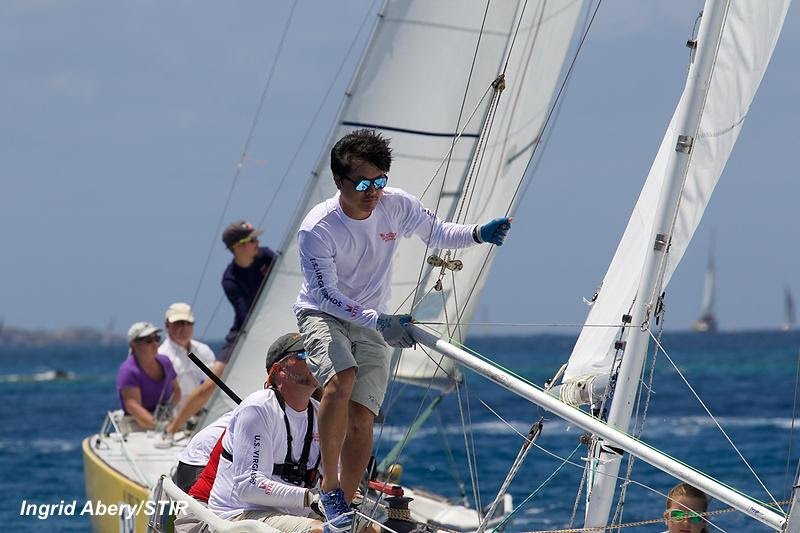 Puerto Rico’s Ramon Gonzalez and his team on Sembrador are leading the IC24 class, with four first place finishes in five races. 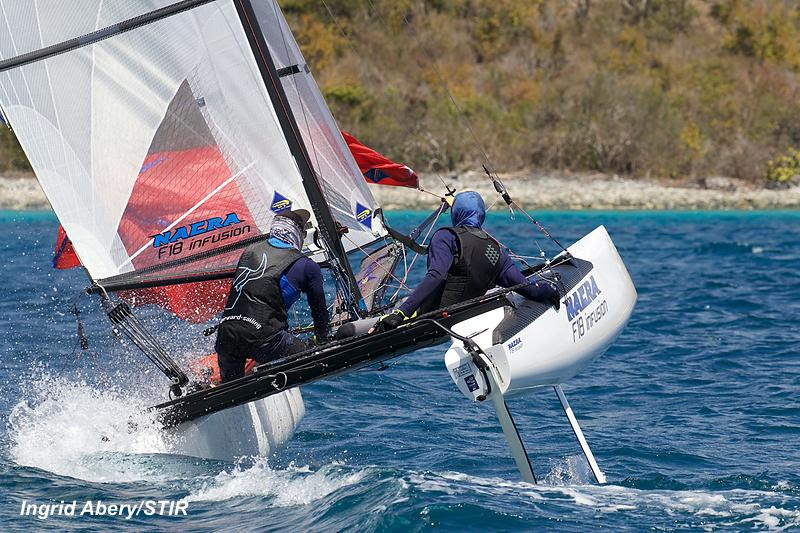 In the Beach Cat class, St. John’s Dane Tarr is in the lead aboard his Nacra 18 Infusion, Family Cruiser. The Beach Cats sailed the same courses as the IC24s. “Sailing here is special and even more so when racing around the islands rather than marker buoys. These types of courses make it more fun for the average sailor, who wants to sail with friends, especially those who don’t have a lot of expertise with windward-leeward courses. We really work hard to set different types of courses each day. It’s more fun this way and truly something special,” says Brennan.